After many delays, Medic obtained the Official Military Personnel Records of Army veteran Rod Serling from the National Archives. Unfortunately, as NARA wrote to Serling’s widow, his records were among those destroyed in a fire in 1973. His remaining and reconstituted records are here. Rodman Edward “Rod” Serling (1924-1975) was an American screenwriter, playwright, television producer, and narrator known for his live television dramas of the 1950s and his science fiction anthology TV series, The Twilight Zone. Serling was active in politics, both on and off the screen, and helped form television industry standards. He was known as the “angry young man” of Hollywood, clashing with television executives and sponsors over a wide range of issues including censorship, racism, and war. Serling enlisted into the Army in 1943 and served in the 511th Parachute Infantry Regiment of the 11th Airborne Division. In 1944, his unit saw constant combat in the Philippines at Leyte and later during ferocious street battles in Manila. Serling was an outspoken anti-war activist, especially during the Vietnam War. He supported anti-war politicians, most notably Eugene McCarthy in his presidential bid. 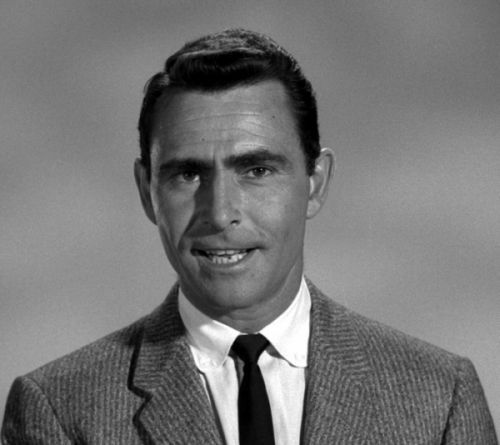 Several episodes of the Twilight Zone written by Serling convey his strong anti-war views and moral values. Among them are The Obsolete Man. He won numerous awards for his work. Serling was a member of the Unitarian Universalist church, which has produced a balanced and informative biography.